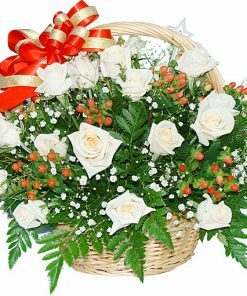 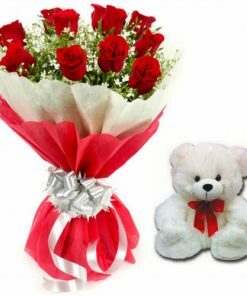 Give your special one this lacy posy that’s a cogent proof of incomparable style and grace. 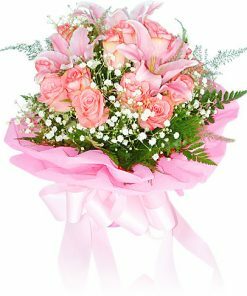 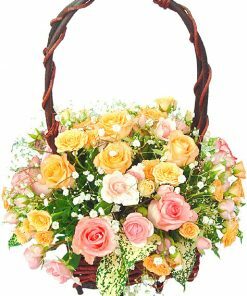 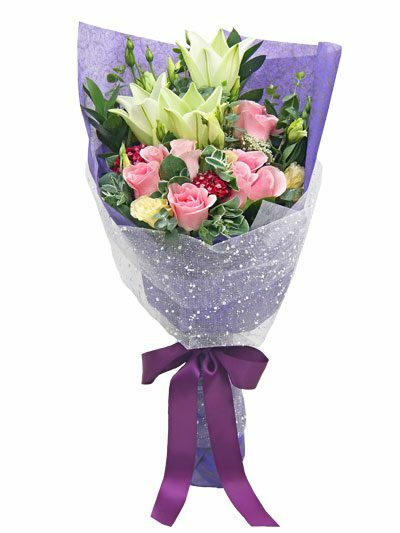 This item have 12 stalks pink roses in a long bouquet and 2 (6 flowers) stalks yellow lilies. 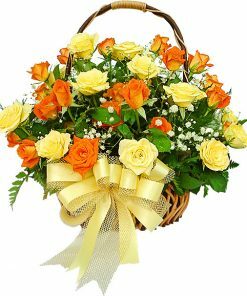 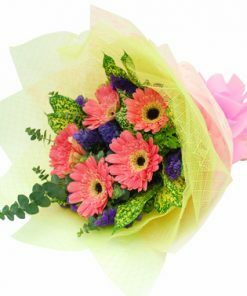 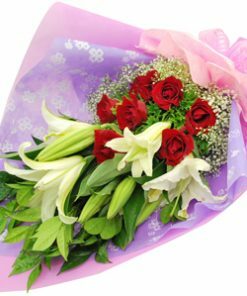 This flower is ready to delivery in Phnom Penh City (same day delivery) and other provinces (next day delivery) if you order before 2pm.